Hello! Our names are Ryan and Rachel Jackson. When we got married we desired to have many children, and after completing our masters programs, Rachel quickly became pregnant with Adalyn and had no complications with her pregnancy. Adalyn is a tremendous gift from the Lord. She brings so much joy and laughter into our home, and we were eager to bring more children into our home very soon. However, God had a different plan for our family, because we have not been able to have another successful pregnancy since Adalyn. So we have been walking through a season of infertility for almost 6 years now, and it has been a hard and dreary place. But oh, how the Lord has been so good to continue to work through this season and not waste this pain. He used these last several years to reveal more of his character to us and shape and mold our hearts for His purposes-not our own. The desire to adopt a child surfaced on Rachel’s heart first, but in December of 2017, Ryan came home with a folder from our Mosaic Adoption Ministry at church! It was a sign that the Lord had lead him to a place of peace for adoption too! We were both so very excited and had great confidence to move forward together in order to begin seeking out the avenue that the Lord would desire for us to bring another child into our family. At this time, we have chosen to welcome another child into our home through domestic adoption. It can be a long waiting process as we are completely dependent on the Lord to place us on the birth mother’s heart, but we are trusting that He will make it clear to the birth mom when she should choose us as the right family to raise her sweet baby and become a part of our family. We are also delighted that we can share this season with you. 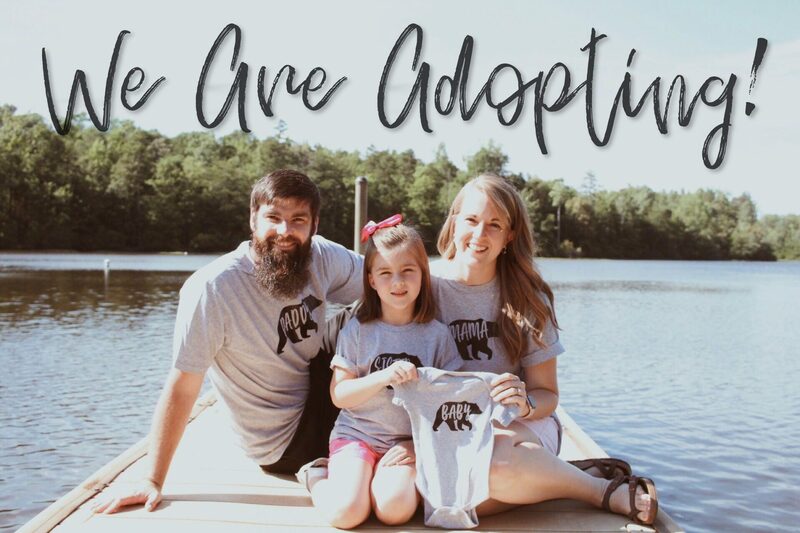 Be sure to click on the link to the right to follow along with our adoption journey, and thank you for joining us in in prayer as we patiently await for the Lord to reveal the sweet child He would like for us to welcome into our home. Domestic adoption does require substantial fees in order to complete the process. So, thank you for prayerfully considering partnering with us financially. We are so grateful to know that we are not alone in this process and have dear family and friends supporting us through this journey! STRIPE charges an online processing fee (2.2% +.30 USD per transaction). Your donations will be decreased by this amount. You may also send a check payable to “Lifesong for Orphans”. In the memo line please write “Jackson 7934”, to ensure it is credited to our account. Please mail to Lifesong for Orphans, PO Box 40, Gridley, IL 61744.